Jbl vous présente l'Everest DD67000, une évolution du système de haut-parleur tant vanté DD66000. En utilisant les technologies les plus avancées et des composants de classe mondiale, les ingénieurs Jbl ont créé un des systèmes de haut-parleurs le plus sophistiqué et recherché au monde. Cette enceinte trois voies est dotée de deux haut parleurs de 38cm à trois couches en sandwich, de woofers en sandwich à cône articulé, et d'une réponse de basses dirigée. Les hautes fréquences claires et médiums sortent à travers un driver de 4 pouces (100 millimètres) à chambre de compression en béryllium pur. Et un diver en hyperfréquence pur-béryllium de 1'' (25 millimètres) délivre des sons jusqu'à 60kHz - bien au-dessus de l'audition humaine. Disponible en palissandre et érable, l'Everest DD67000 reste fidèle à la tradition Jbl, ce qui en fait une des enceintes de sonorisation les plus convoitées dans monde. 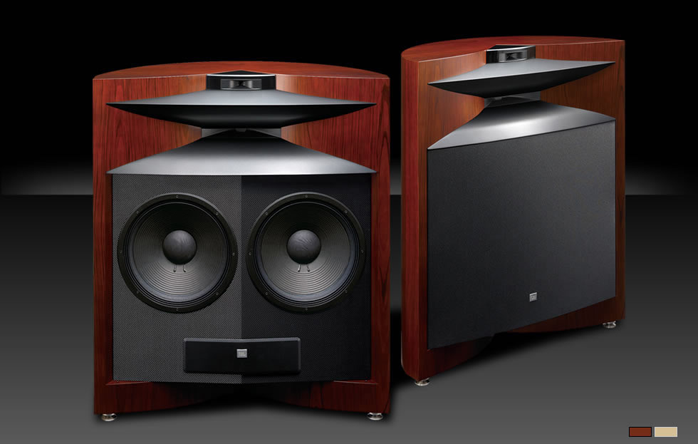 Introducing the Project Everest DD67000, an evolution of the much-lauded DD66000 speaker system. 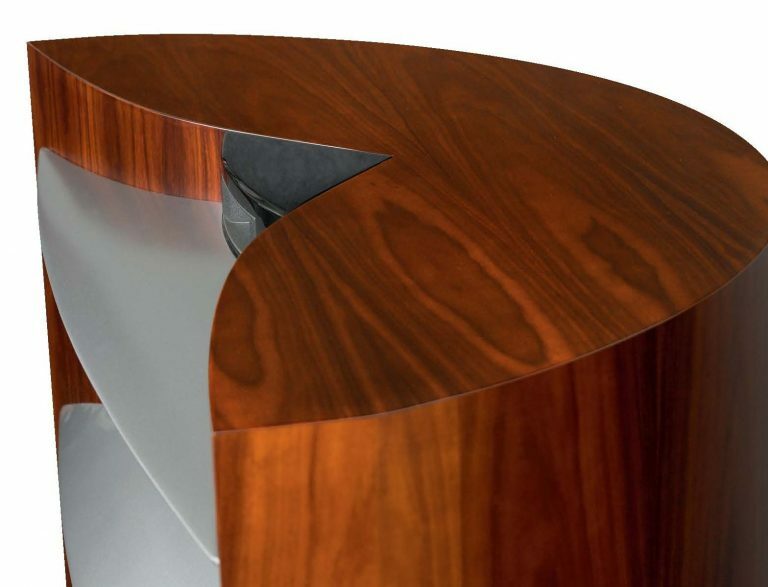 Using the most advanced technologies and world-class components, our engineers have created one of the world’s most sophisticated and sought-after speaker systems. Under a program called Project Everest, JBL® engineers designed the ultimate loudspeaker system: the Project Everest DD66000. But they wanted to outdo themselves. Using the latest technologies, they created the DD67000. This three-way speaker features dual 15-inch (380-millimeter) three-layer (pure-pulp layers over and under a foam-injection core) sandwich cone woofers for articulate, authoritative bass response. Clear high and midrange frequencies come through a 4-inch (100-millimeter) pure beryllium compression driver. And a 1-inch (25-millimeter), pure-beryllium ultrahigh-frequency driver delivers sounds up to 60kHz – far above the range of human hearing. with the stiffness of a foam-injection core and a 4-inch (100-millimeter), edge-wound aluminum voice coil. This material preserves sonic neutrality, dampens internal resonances, smoothes frequency balance and tightens bass response. We’ve employed dual-inverted Nomex spiders to offer greater freedom of motion and dynamic range, speci cally at low playback levels. The result is very high acoustic output, improved power handling and reduced power compression. The DD67000’s 4-inch (100-millimeter) pure-beryllium compression driver with a 4-inch, edge-wound aluminum voice coil provides exceptional high and midrange frequency response with low distortion. You’ll experience natural, realistic tones from all your music and movies. We’ve constructed the DD67000’s 1-inch (25-millimeter) ultrahigh-frequency compression driver from stiff and lightweight beryllium. This compression driver also features a pure- magnesium phasing plug, which offers improved stiffness and can wisk heat away from the voice-coil assembly to help improve power handling and sound quality. You’ll experience crystal-clear, ultrahigh frequencies up to 60kHz quickly, accurately and without strain or distortion – even when you crank up the volume. 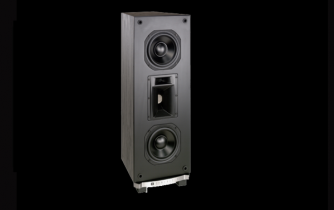 With a frequency response of 29Hz – 60kHz, the DD67000’s sound reproduction is extremely smooth and extended in every direction. 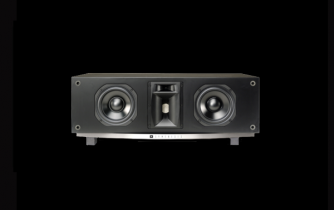 The system’s directivity and power response are highly uniform, its harmonic distortion is reduced to inaudible levels, and its dynamic linearity is unparalleled. The Project Everest DD67000’s transducers operate with Bi-Radial horns shaped for smooth frequency response and precise imaging. JBL engineers have optimized this structure for extreme heat resistance, low resonance, vibration-resistant rigidity and superior acoustics. 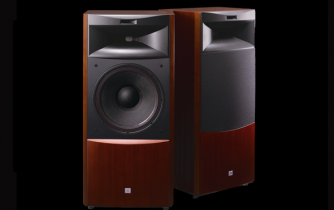 JBL engineers have designed the Project Everest DD67000 for serious audio output. We recommend that you power it with a separate AVR (audio/video receiver) or ampli er that can deliver up to 500 watts of power and no less than 100 watts, whether you’re using the speaker as a stand-alone unit or as part of a stereo/surround-sound system. It’s important that your selected ampli er has a very high current capacity and must be capable of driving a low-impedance load. Front-mounted control panels on the DD67000 enable precise tuning of low- and high-frequency levels and other characteristics for maximum sonic performance with any system and in any room. 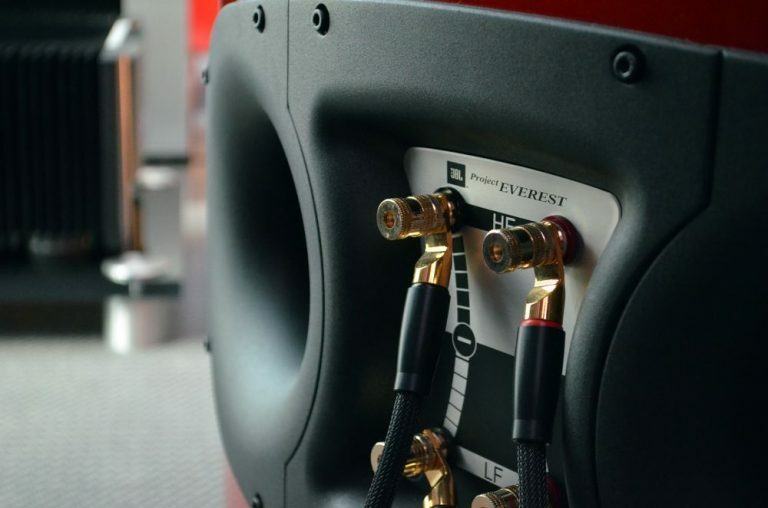 Separate low-frequency and high-frequency rear-input terminals allow you to bi-wire or bi-amp the system. The DD67000’s internal dividing network enables bi-wiring capabilities that offer you more exibility in ampli er selection − and serious sonic advantages in the audio response. You’ll enjoy amazingly clear sound. the main high-frequency horn. The top and bottom horn ares are accomplished by the attachment of precision-molded SonoGlass® horn “lips” to the enclosure’s upper surface. We’ve mounted the ultrahigh-frequency driver to a SonoGlass horn that itself is mounted to a die-cast aluminum housing. JBL loudspeakers have been the choice of music and movie professionals for more than 60 years; they are behind the screens of more than 50 percent of all movie theaters and hang in concert venues everywhere. Many of your favorite songs and movie soundtracks were mixed or mastered on JBL studio monitors. But you don’t have to be a recording-industry professional to bring JBL sound home. Our home systems use technologies, materials and manufacturing techniques that we developed for professional speakers.